InterContinental Hotels Group (IHG), announced the signing of a new-build, 199-room Crowne Plaza® hotel in Medellin, Colombia. 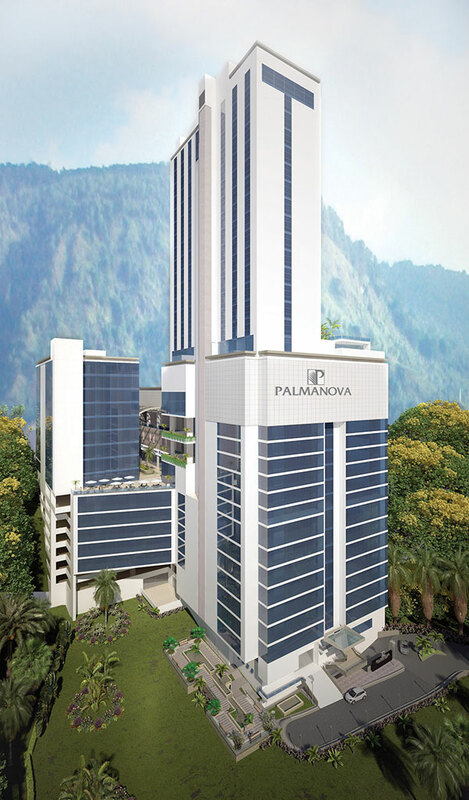 The hotel will be located in Medellin’s”El Poblado” neighborhood, occupying one of two towers in the Palmanova luxury, mixed-use development and connected to the Palma Real Multiplaza. This will be IHG’s third property in Medellin, joining the InterContinental Medellin and the Holiday Inn Express Medellin. There are nine hotels open and seven hotels in the development pipeline in Colombia across IHG’s InterContinental Hotels & Resorts, Crowne Hotels & Resorts, Holiday Inn, and Holiday Inn Express brands. Slated to open in 2018, the Crowne Plaza Medellin hotel is owned by Grupo Contempo S.A.S., which also owns the Holiday Inn Express Bogota. The Crowne Plaza Medellin offers sweeping views of the city, including a 360° view from the pool bar located on the top floor. The hotel will feature a ground floor restaurant and lobby bar, a flexible 4,500 sq. ft. ballroom and about 1,000 sq. ft. of meeting space, as well as a fitness center, business center and the Crowne Plaza Sleep Advantage program. Crowne Plaza hotels participate in IHG’s guest loyalty program, IHG Rewards Club. IHG has operated in Latin America for more than 65 years, with 88 IHG-branded hotels open in the region and 27 more hotels in the development pipeline, eight of which will open or have opened recently in Colombia in the cities of Barranquilla, Bogotá, Cartagena, Cucuta and Yopal.